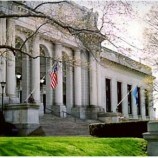 Cummings & Lockwood LLC attorneys convinced the Connecticut Supreme Court to dismiss Probate Court proceedings restricting our client’s use of funds that had been awarded to her by the September 11th Victim’s Compensation fund for the support of her minor child upon the death of her husband in the attacks on the World Trade Center in 2001. 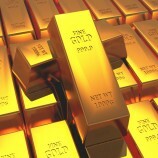 Recently Robert L. Lancaster, a Principal in Cummings & Lockwood’s Private Clients Group in the Firm’s Naples, Florida office, served as an expert for the Real Property Probate Trust Law Section of the Florida Bar in connection with pending legislation in Florida relating to Decedent’s Property. Cummings & Lockwood is pleased to announce that it has assisted its client, George Comfort & Sons, Inc., in closing a major global headquarters lease at the former UBS site at 677 Washington Boulevard in Stamford, Connecticut. Cummings & Lockwood is delighted to announce that Partners, Howard S. (Terry) Tuthill III and Edward F. Rodenbach have been selected as 2019 Best Mentor Honorees by the Connecticut Law Tribune for the 2019 Connecticut Legal Awards. Cummings & Lockwood was a proud sponsor of the YWCA Greenwich’s 2019 Women Who Inspire Awards event, which was held at the Greenwich Country Club on January 25, 2019. 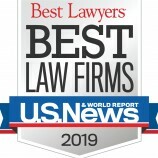 Cummings & Lockwood LLC is pleased to announce that 32 of its attorneys in Connecticut and Florida have been listed in The Best Lawyers in America® 2019. Since it was first published in 1983, Best Lawyers® has become universally regarded as the definitive guide to legal excellence. 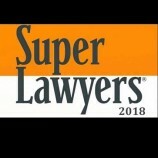 Cummings & Lockwood is pleased to announce that 12 attorneys have been selected to the 2018 New England Super Lawyers list and five attorneys have been selected to the 2018 Rising Stars list. Cummings & Lockwood’s Palm Beach Gardens, Florida office has been selected as the 2018 “Trust & Estates Law Firm of the Year in Florida” by Global Law Experts. Cummings & Lockwood’s Naples, Florida office recently marked its 40th Anniversary. 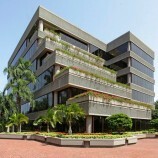 Established in 1978, the Naples office was the first Cummings & Lockwood office to be opened in Florida. 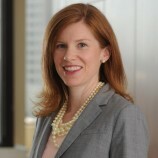 Cummings & Lockwood LLC is pleased to announce that Kathleen M. Merrigan, Residential Real Estate Counsel in the Firm’s Greenwich Office, has been promoted to Principal, effective January 1, 2019. 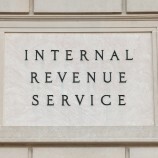 Cummings & Lockwood LLC successfully defeated an argument by the Internal Revenue Service where the IRS required the payment of additional federal estate tax based on the IRS’s partial disallowance of the deduction for state death taxes under § 2058 of the Internal Revenue Code (the “IRC”). 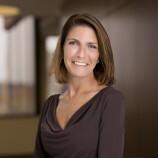 Cummings & Lockwood is pleased to announce that Laura Weintraub Beck has been appointed Chair of the Firm’s Private Clients Group, effective immediately.